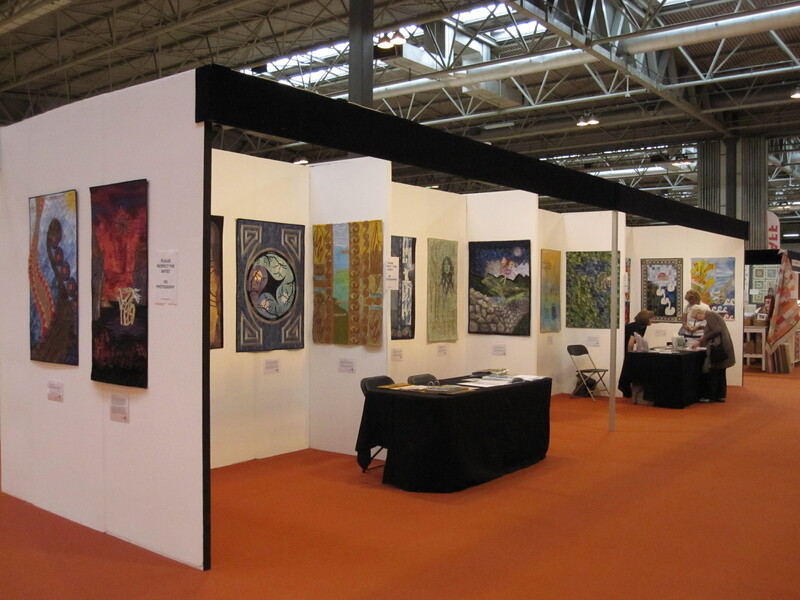 The Spirit of The Celts exhibition by the Celtic Fringe group was first shown at the Festival of Quilts in 2011. The exhibition has since toured to Scotland and France, and will soon be on show in Northern Ireland and Wales (see Events). 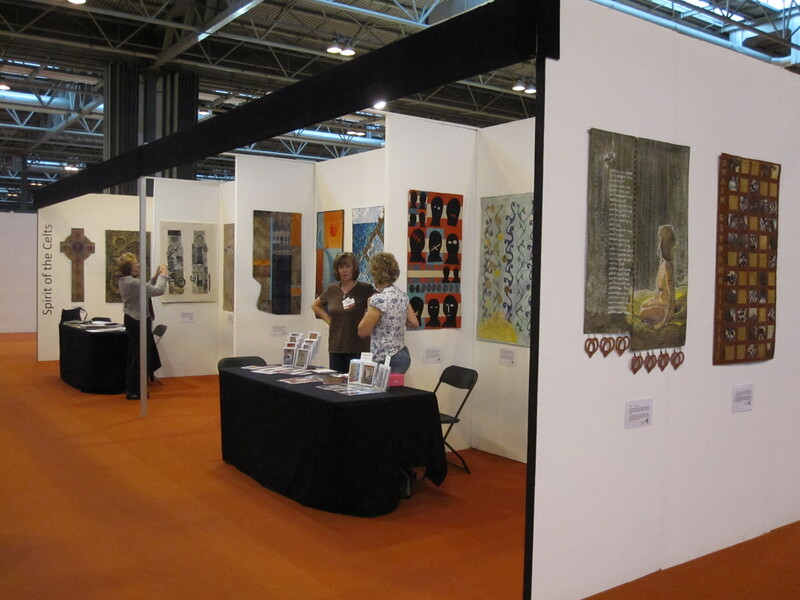 To see images of the 8 Cwilt Cymru pieces in Spirit of the Celts go to Quilt Gallery. Celtic Fringe is made up of three quilt groups: Cwilt Cymru from Wales, Turning Point from Scotland and Loose Threads from Northern Ireland. The story of how Celtic Fringe was formed and how the Spirit of the Celts exhibition was created was told in this article by Bethan M. Hughes (Cwilt Cymru) which first appeared in issue 130 (Spring 2012) of The Quilter, the membership magazine of The Quilters’ Guild of the British Isles – thank you to the editor Anne Williams for permission to include it here. I was very impressed with the beauty and standard of the quilts. This exhibition is outstanding and very moving. Thanks for sharing your quilts with us. I wasn’t able to go to the Festival of Quilts in 2011 so it is very appriciated to be able to see it at the Oriel Mon on Anglesey.